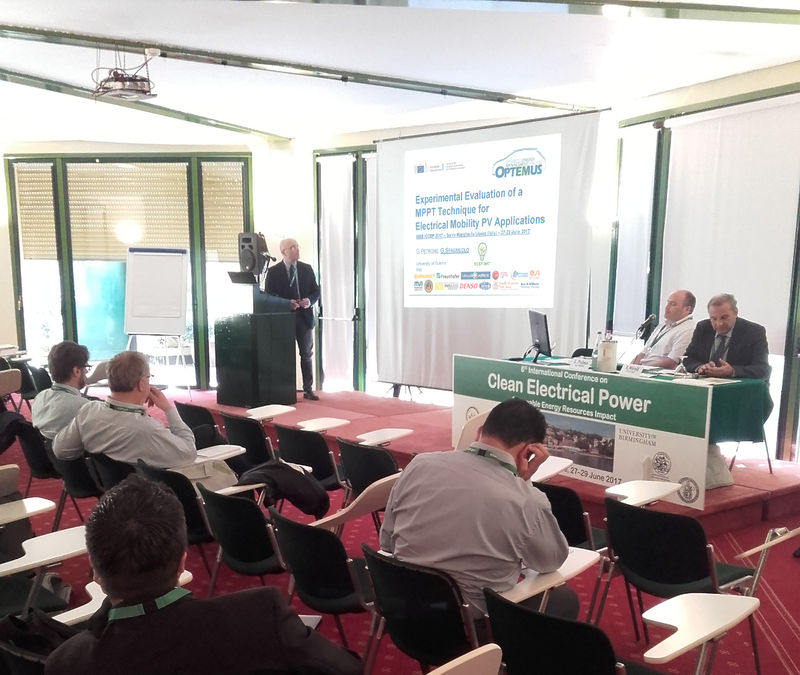 Giovanni Spagnuolo (UNISA) gave an oral presentation entitled “Experimental Evaluation of a MPPT Technique for Electrical Mobility PV Applications” at the IEEE conference “ICCEP-2017” (IEEE International Conference on Clean Electrical Power) in Santa Margherita Ligure (Italy) (June 27-29). It was focused on the main contributions from UNISA to the OPTEMUS project in terms of design, modeling, implementation and experimental validation of the Maximum Power Point Tracking system for the Photovoltaic energy harvester. The experimental results show the excellent performances of the system in some stationary and dynamic operating conditions.